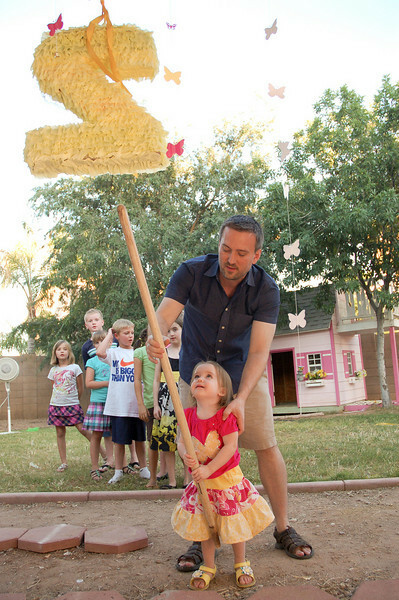 Pinata time! I filled it with bags of lollipops and bubbles, two of Niamh's favorite things. And, happily, heat-tollerant.